3increasingly desirable Mazda RX-7 rotary-engined sports cars will be on block at Shannons May 8 Melbourne Auction. 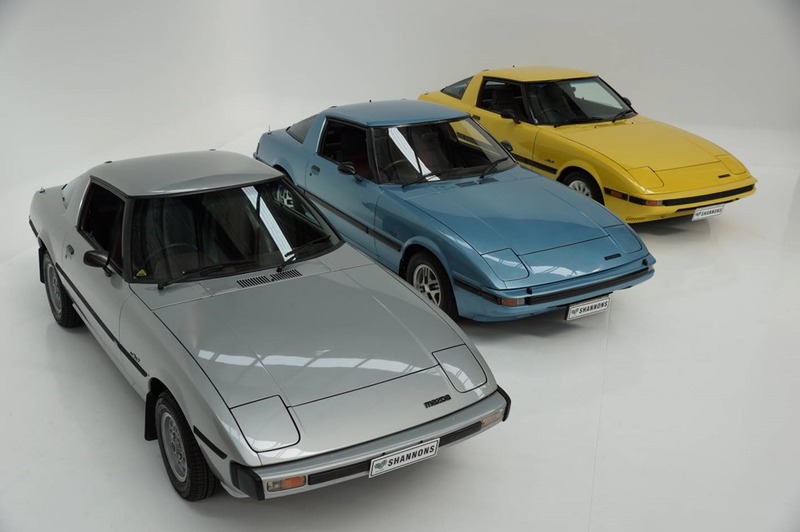 All are Australian-delivered, with a Series I, II and III all from a local Mazda collector It is the first time a sequential trio of original RX-7s has been auctioned in Australia. All 3 are manuals, in original condition and offered with ‘no reserve’. The RX 7 story began in 1978 as a successor to the rotary-engined ‘halo model’ Mazda Cosmo , and was Mazda’s first volume production model of the revolutionary Felix Wankel’ rotary engine. 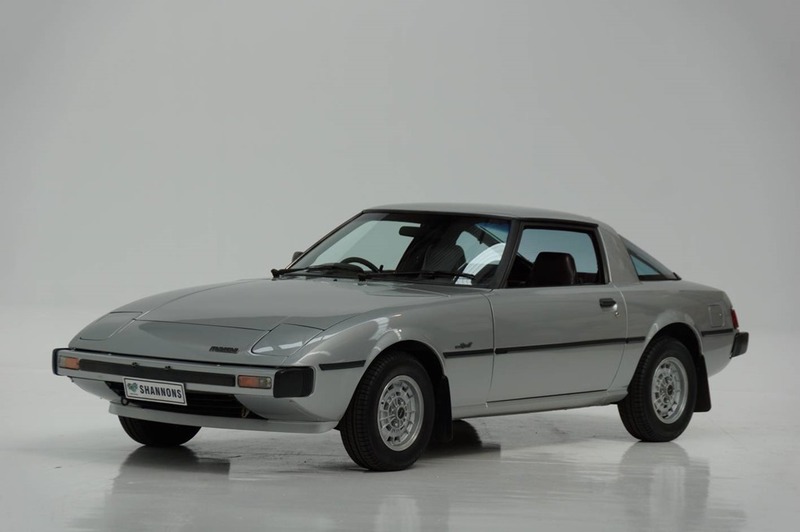 Unusually, the RX-7’s1146cc, twin-rotor 12A Wankel engine was mounted slightly behind the front axle, a configuration marketed by Mazda as ‘front mid-engined’. The RX-7 was intended to compete with Porsche’s 924 and Nissan’s 260Z and 280Z. Road tests compared the RX-7 favourably with its rivals. It was said it had excellent handling/roadholding and had excellent performance thanks to its twin-rotor engine. The 2+2 coupe offered a stylish, aerodynamic body with fashionable pop-up headlamps, and a glass lift-up rear window. The well equipped interior was trimmed in velour, typical for the era. The 1981-83 Series II RX7 models featured larger bumpers, larger wrap-around tail lights, big waistline protective strips, new styled alloys, four-wheel discs brakes, and an upgraded engine. The Series III (1984–1985) had a redesigned lower front fascia, and featured bigger brakes, stiffer suspension, and new wheels d esigns. The Series I for sale is a has low-kilometres, and is a 3-owner sold new by Hotham Motors in Traralgon, Victoria. Most of the past 10-12 years has been spent in storage. 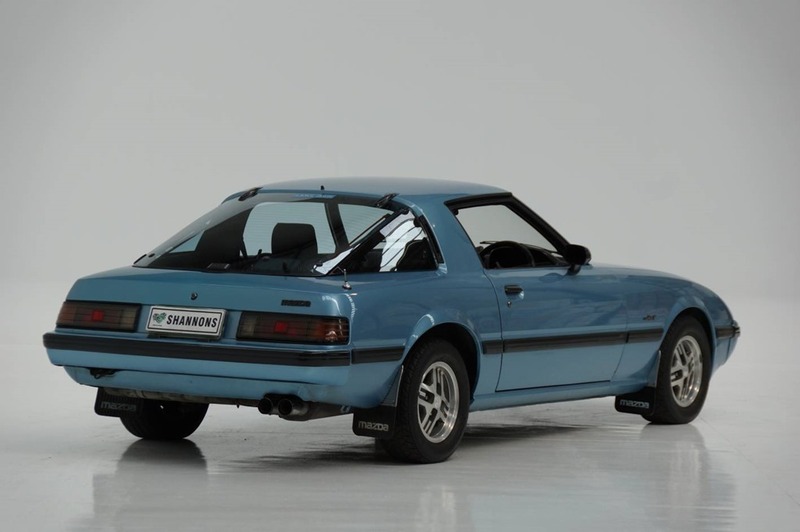 The Series II RX-7 is metallic blue, one-owner, and completely original. The Melbourne car has original books, and the yellow Series III coupe is a low-K’s example without the ubiquitous factory sunroof. All have original factory wheels, good interiors, and unusually for the time, air conditioning. 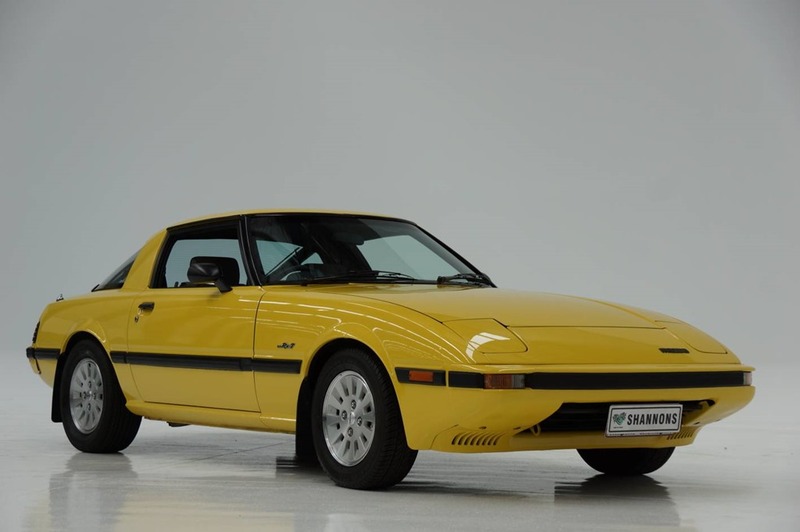 “It was very rare today to find three substantially-unmolested early RX-7s with their correct wheels, trim and anti-pollution gear still intact”, said Shannons National Auction Manager Christophe Boribon. Four-time Bathurst winner Allan Moffat raced a series of RX-7 models in the Australian Touring Car Championship. He won the National title against the V8-engined opposition in 1983. In 1991, a Mazda 787-B sports car won outright victory in the Le Mans 24-Hour race, making the engine a legend. Shannons expect the three RX-7s to appeal to Japanese and/or Mazda car collectors and are predicting that the Series I model will sell in the $20,000-$26,000 range, with the Series II and Series III models each commanding around $14,000-$18,000.